Make no mistake: The 2018 Honda Civic Type R is no paint-and-stickers special. This is the real deal, with 306 horsepower from its 2.0-liter turbocharged 4-cylinder, a race-tuned chassis, thickly bolstered seats, and outrageous styling. And yet, it retains the kind of day-to-day livability that makes the entire Honda Civic lineup one of our favorite cars. The type r is a real head turner! I get people asking questions all the time. 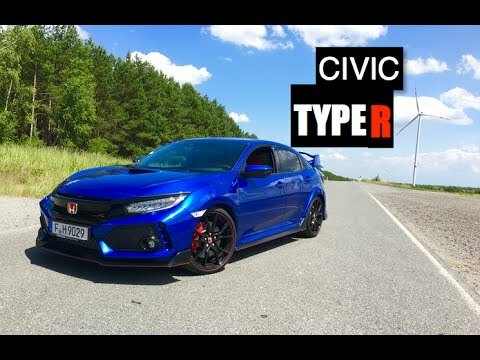 My 2018 Honda Civic type - r is amazing! I personally haven't had any issues and am almost have 15, 000 miles on the vehicle. The factory 20” wheels would have to be my only “dislike”. They're just too big and makes the ride pretty rough and the low profile tires they're wrapped in didn't last long at all, right at about 7, 500. So, I ended up getting aftermarket 18” (18x9. 5 +36) wheels to fit a thicker tire on them. Now it is perfect! There’s no rubbing whatsoever in all three drive modes, comfort, sport and r! Pimped up Civic that is a blast to drive. The vehicle itself is very aesthetically pleasing for me, though it might be a tad over-decorated. Typical of all Honda cars, it has a thrilling acceleration, even better than that of a normal civic. It has proven to be reliable and I've rarely had to service it, only for the typical check ups and oil replacements. Driven around 20k miles in it to date. It does not need to be AWD, it is great as a FWD car! It's a race card for the streets but is still a very comfortable car with great features. Though the car is fun to drive it does have its own little quakes that you have to get used to but that comes with what type of car it is.